A windy afternoon at Kelham Road - courtesy of the tail end of storm Erik – saw Newark 2nds play top of the pennant league Sutton Bonnington in a tough game against a side who put a net 50 points on us only two months ago. 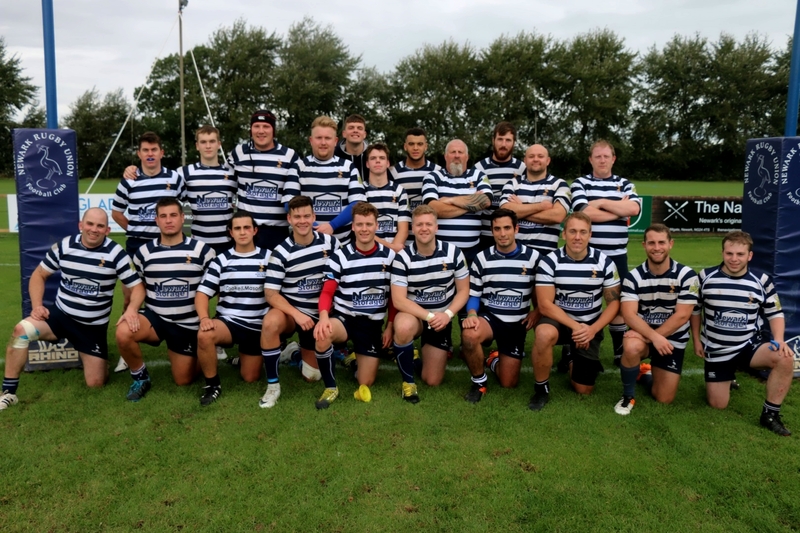 The first 10 minutes featured an aggressive start from Newark, who kept a firm hold on the ball and slugged their way up the pitch via a series of rucks before forcing the visitors to concede a penalty which led to a line-out on the 25m line and an attacking scrum. So far, so good and it looked as though the home side had hit on a game plan which could give Sutton pause for thought. Unfortunately, the visitors had read an entirely different script, and when Newark finally coughed up the ball in the breakdown after the scrum – pinged for holding on – they kicked for position, and then launched a rapid attack by expertly sucking in the Newark defence and using their fast backs on the overlap to score right – 0-5. They followed this up almost immediately with an almost identical score, after a marginal call – again for holding on after the restart – compounded by Newark backchat saw us being marched 20 yards up the pitch and gave Sutton another excellent attacking position – 0-10. Aggrieved they may have been, but Newark didn’t lose their composure, launching a multi-phase offensive up the pitch, well-marshalled by the perky Sam Booth, who played with real confidence behind the scrum. Sutton were unable to contain this battering and when Ben Wells crashed over on the left, it was a fitting reward for a magnificent forwards effort. And this was really the pattern of the game. Newark were always dangerous in possession, but were vulnerable to a well-drilled and tactically dominant Sutton attack. It wasn’t that we were missing tackles so much as they were pulling us in and then running round us despite some superb last ditch tackling by a spirited back 3, particularly Ben Skelton and the excellent Toby Taylor. By half time, Sutton had scored another 2 tries in much the same fashion, and Newark were scratching their heads for answers – 5-20. Nor did it look like they’d found any after the break, enduring a torrid 20 minute period pinned back in their own half and shipping 3 further tries – 5-37. And it was now, belatedly, that the home side began to find some of the answers to the puzzle in front of them, defending better out wide and forcing penalties rather than conceding them and setting the scene for a final quarter which was all Newark’s, aided by some fresh legs from the bench in the shape of Percy who showed promise of things to come in his first outing for the club. First, Newark replicated their first half try, with a rolling forward attack up the centre before shipping the ball down the line first to Nick More who was stopped inches from the line and then to Ross Verrills who outstripped a stretched Sutton defence to score right – 12-37 (conv. Sam Booth); then Booth himself found a gap in the Sutton line after the restart, making 50m before being hauled down and setting the scene for a series of Sutton penalties which ended up in a maul on the touch line and Ben Wells going over for his second try of the day, 19-37, final score (conv. Sam Booth). Thanks to Sutton for a good game and to Stu Birch for pulling the squad together in Richard Byram’s absence.